With the new year comes new opportunities. Digital metrics are one area in which you’ll find many of these new opportunities that are available to your business. It’s also an arena that’s garnered much legitimate concern over the past couple of years. If you’re not careful here, this concern could easily lend itself to over correction. With that being said, you should pause to realize that people want video marketing because of the interactive experiences they provide. Although you might not buy into this concept, there’s a larger point behind it that you simply can’t argue with. All the major upward trends wrap around videos. This is because it has such a huge potential upside. Just look at Twitch if you don’t believe this is true. Other proof here can be seen in how Facebook has made a major investment in Watch and IGTV and the fact that throughout 2018 TikTok underwent major growth. All this makes it clear that developers and marketers both agree that video lies at the heart of all digital communication in the future. This is something that many small platforms are also grasping hold of now. The consumer insights company Toluna recently surveyed 1,000 digital customers. In doing so they discovered that about 53% of people haven’t watched any brand advertising on social media within the past three months. This means that approximately 47% of those surveyed had watched in. This is something that Unmetric has also discovered. In fact, they’ve tracked billions of views of branded videos on various video platforms. Unmetric gives Samsun as an example of this. Samsung had a powerful story behind their #VoiceForever campaign, which is why it became the top video on Facebook, YouTube, and Instagram in 2018. It received close to one million views. 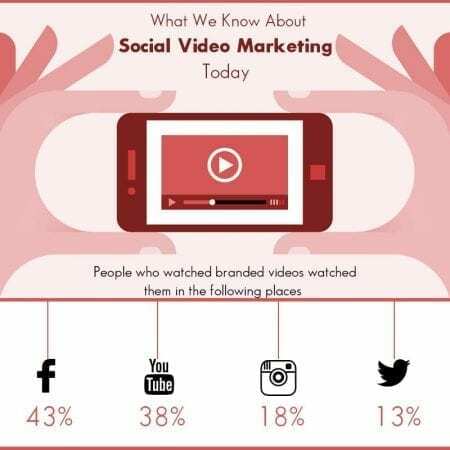 Of course, it also received a lot of promotion to push it towards success, but this still shows that video marketing is important. It’s also interesting to note that while 18% of people say they preferred text or photos and about 30% said they preferred video, 52% say they had no preference. Nonetheless, about half of those who do watch video advertising will seek additional information. Of course, only about 20% of those surveyed were between the ages of 18 – 34. This is important because if more people would have fallen into that age range then video watching would have increased. Once again, this proves the importance of knowing your audience before engaging in a video marketing campaign. This will save you both time and money. This advice really is no different than what we’ve been seeing since 2017. However, it’s something that many businesses still haven’t grasped hold of because they’re already involved in too many other things that are bringing them a good return on investment (ROI). If this describes your situation, there’s good news for you: I SEO U has helped many businesses, just like yours, with video marketing over the years. These businesses’ successes are testament to why you should contact us and let us help you with your videos starting today.